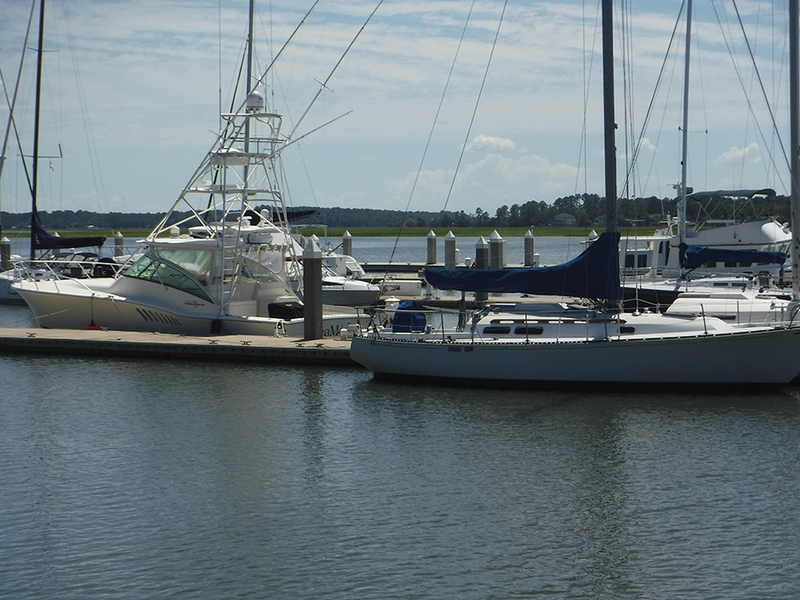 Chatham Engineering Company, LLC provided electrical design services to provide new electrical service to three new docks and upgrade power to 2 other existing docks. Power was extended from a utility pad mounted transformer at 480 volts to electrical substations located on the floating docks. 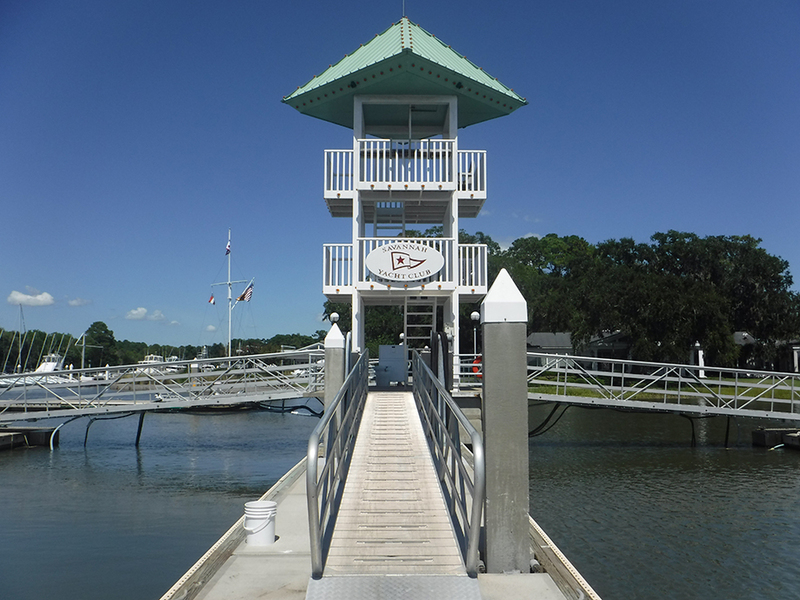 Integral panels in the substations feed power pedestals that are located at each boat slip. The power pedestals all have 50 and 30 amp, 230 volt receptacles and 20 amp, 125 volt receptacles. In additional all pedestals have photo controlled light fixtures. 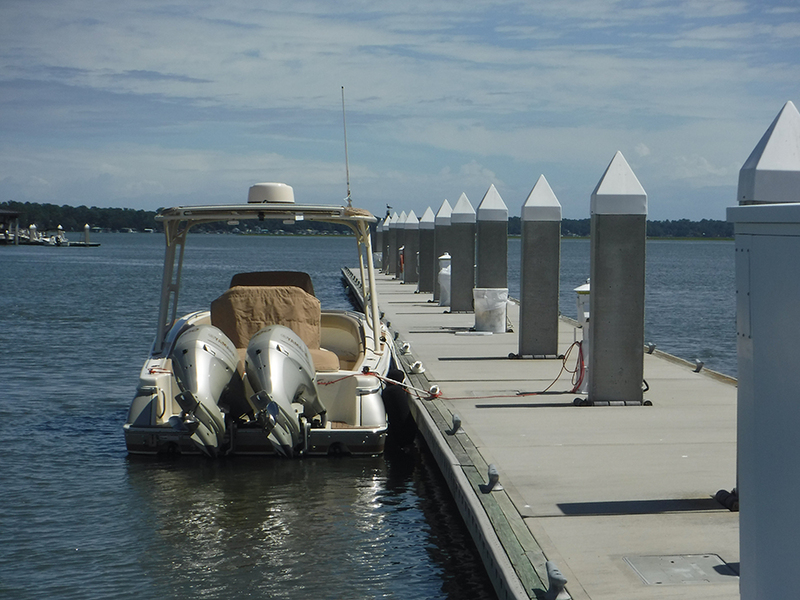 All conductors are copper and extend in conduits that are cast in the floating docks. 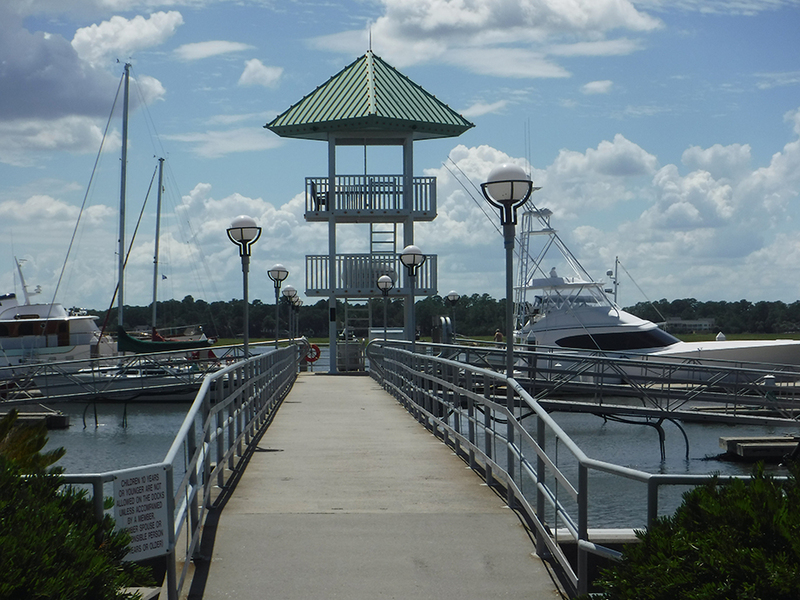 A “waterfall” is located at the base of the floating dock ramp which does not allow the cables to hang in the water.